2018 has been a great year for me, both in work and in my personal life. I genuinely love weddings. The buzz, the anticipation, the nerves, the laughing, the dancing, the moments in between. The joy that surrounds it all. Essentially, a wedding is a big party and I’m the lucky one who gets to take it all in and capture it. When I look back on the year, the one particular thing that stands out for me was the summer we had. It was glorious! The heat, phenomenal! Hopefully, we’ll get some more of it again this year. Another milestone for me was making the list of “120 images, from the best of 2018” on the This is Reportage﻿ website. A documentary photographers collective, who’s aim is to capture natural, unscripted and creative moments. 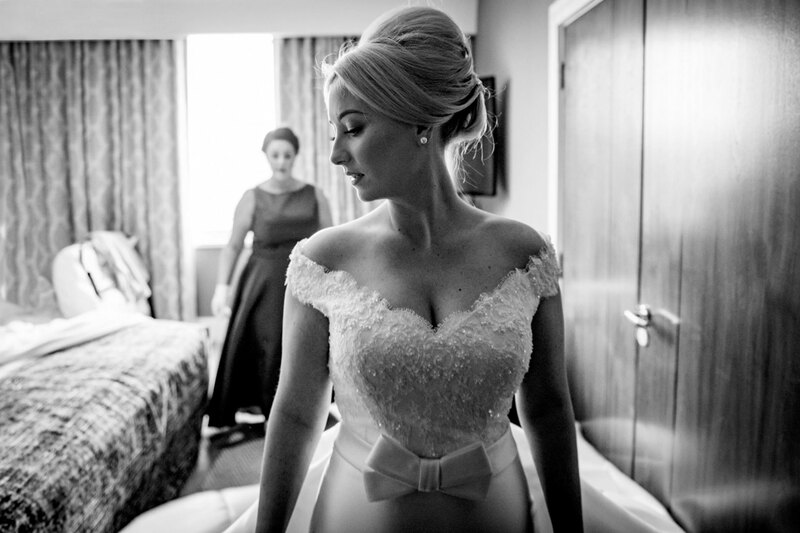 This website celebrates some of the best in world in terms of Documentary wedding photography, so it was great to feature with some of my idols. To all of the couples who booked me in 2018, thank you! To all of my future couples and past couples, thank you too. As I said at the beginning, I do genuinely love weddings. As photographers, we are lucky to get such a close connection to all the moments, that no one else might see. A fathers first look at his daughter in her dress, a quiet word from a mother to her son before he leaves for the ceremony. Sometimes we can take this for granted but when you sit back and think of it, it really is amazing.